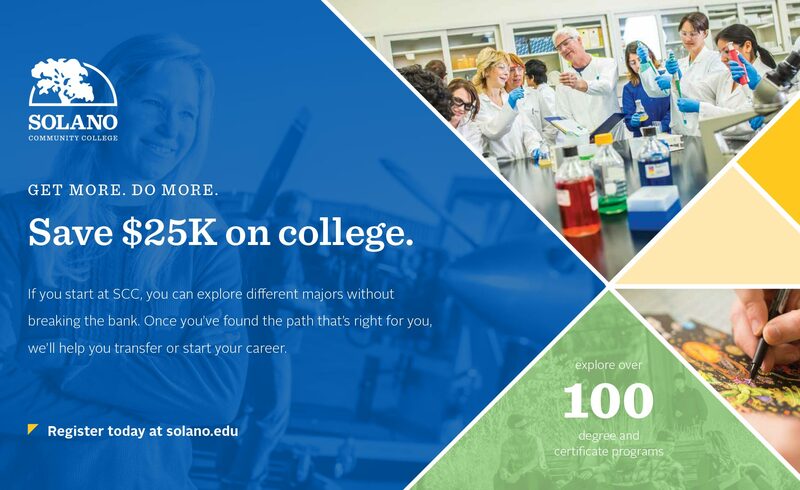 When KPS3 was selected as Solano Community College’s brand partner, the problems facing the College were the same problems facing many higher education institutions across the nation. SCC had no established brand and no consistent marketing efforts, and, due to a variety of reasons, their reputation had been damaged during the recession. 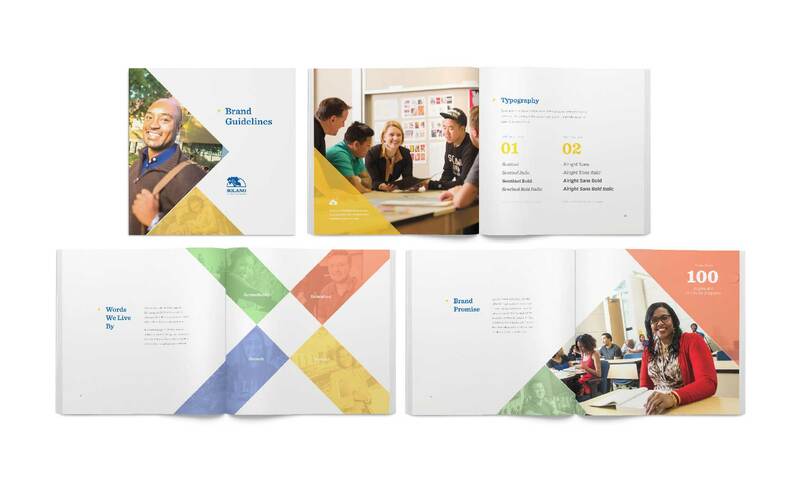 They were losing students to their competitors, and leadership knew that SCC needed to establish a strong brand to help enhance its image internally and externally. They needed a brand that would distinguish SCC from the community colleges nearby and help increase the College's enrollment numbers. Our research gave us the foundation we needed to develop SCC’s new brand. After our research phase, we knew why students considered and/or chose other schools, what each of our audiences perceived to be the strengths and weaknesses of SCC, and what our audiences most immediately associated with SCC. Perhaps most revealing, our survey of current students revealed a wealth of strengths and positive attributes upon which to build the new brand. Our analysis included secondary research, as well as in-person tours of each college and an examination of their available marketing materials. Enrollment data was gathered and analyzed for SCC and three of its competitors. We also conducted surveys with SCC’s primary audiences: prospective students, high school counselors, current students, and SCC faculty and staff. We gathered and analyzed 3,796 survey responses. Using our results from the research phase as our foundation, we started building the new SCC brand. This process included developing a positioning statement, brand promise, and brand pillars. Once we worked with SCC to finalize the College’s brand foundation elements, we moved on to developing the visual elements of the brand. 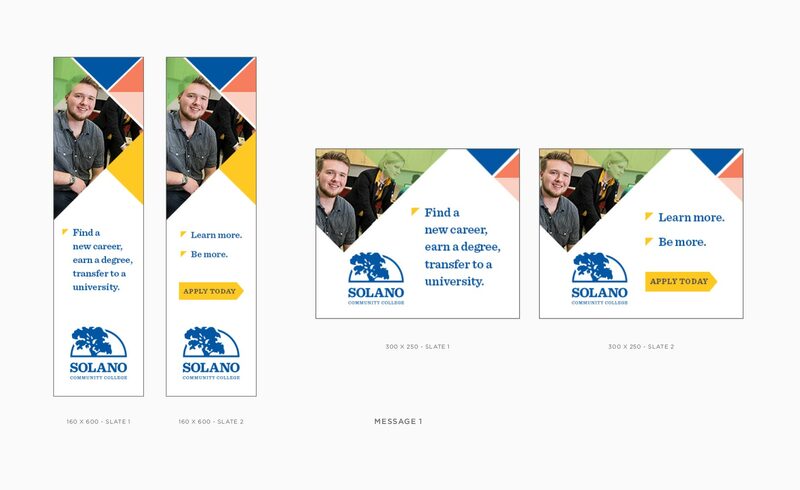 Using our brand promise, pillars, and positioning statement, we designed three different brand “look and feel” options to test with our primary audience — prospective students. We held several focus groups with students from high schools in SCC’s district. In addition to testing our designs, we took the opportunity to test different types of messaging, and to get even more information regarding this audience’s perception of SCC and its competitors. Typography helps keep a consistent brand identity across the SCC campuses and in the public eye. 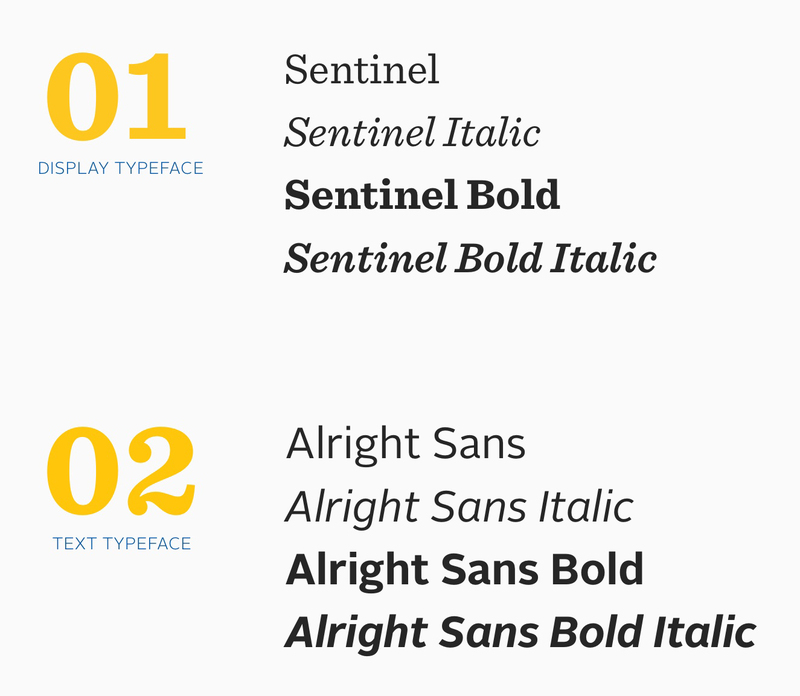 We selected a display typeface with a more traditional and collegiate feel. This typeface supports the College's brand pillar of the value of a high-quality education. The crux of this brand is its use of color. 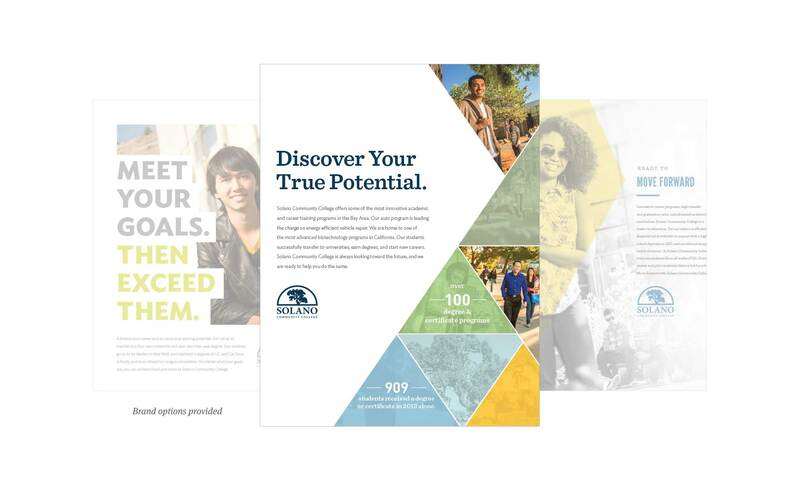 While blue is the dominant color of SCC, we have multiple secondary colors used to accent photos, highlight copy, and add energy and motion to the design. They are bright, bold and are used in internal and external collateral pieces. The importance of a brand’s design cannot be underestimated, especially in a competitive environment. During our brand development phase, we ensured that our design was distinct, professional, and, most importantly, communicated the established brand elements. 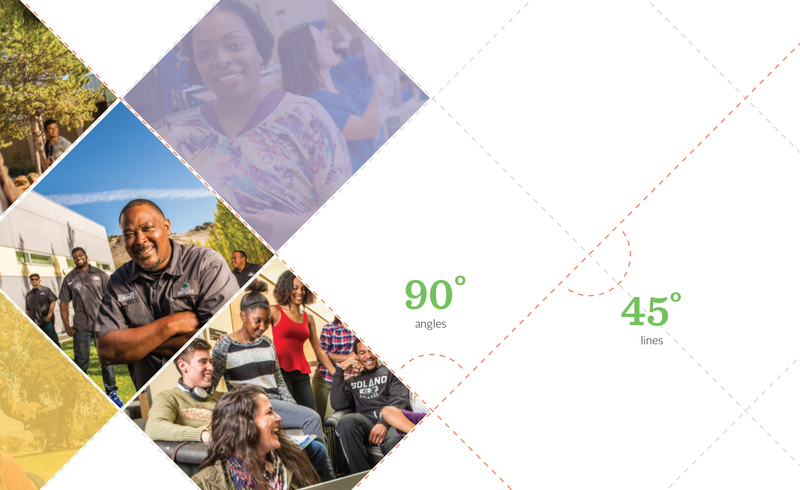 We selected and refined a design that uses angles to represent forward motion (a big component of SCC’s brand promise for students), and emphasizes stunning photography (which our research revealed to be a crucial design component for colleges, particularly community colleges). We also made sure that our design would be adaptable and reusable for the College’s many different needs for years to come. Want to see the full brand book? Download it here. 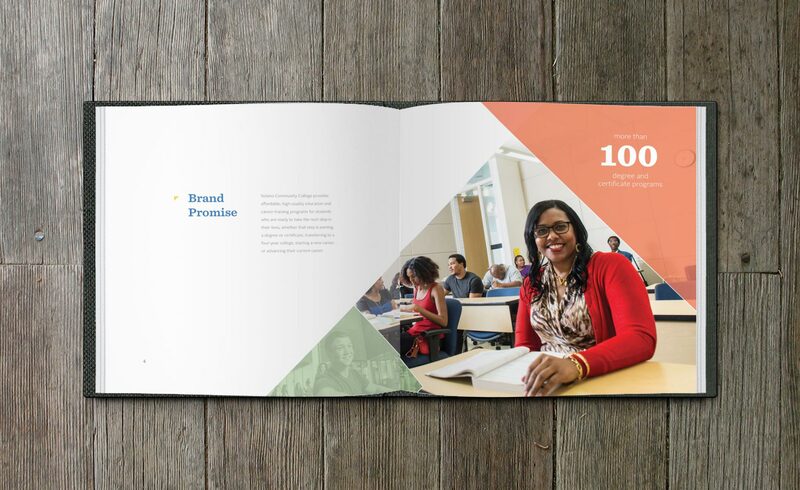 With the brand book in hand, we set out to help the College’s team create the tools needed to launch their new brand. 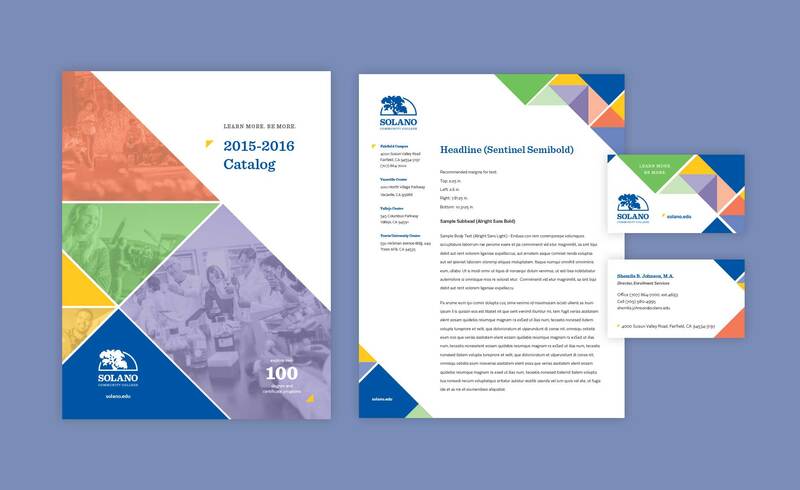 This process included several pieces of collateral and design templates to help the College going forward, as well as the brand roll-out and channel plans for both their internal and external audiences.